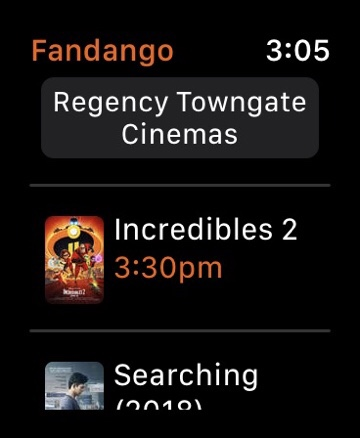 Is there some issue with Fandango and AW4? I just got my first watch and told the Watch app to install all the apps. It got everything except Fandango and a health and banking app that you guys probably aren't familiar with unless you're in NorCal. All 3 of them actually just sit there with a spinning installing graphic in the Watch app on my iPhone X. I've tried force closing the app, toggling bluetooth, restarting both devices, etc. and none of them will install. As a test I reinstalled "ProCamera" which I had uninstalled from it since I didn't really need it on there and it installed just fine after spinning for a couple seconds so I can only assume it's a problem with the apps for some reason. Do I need to try something drastic like wiping the watch and setting up new again? That’s odd. I have Fandango and its loaded with no issues. Ugh I'm not sure what to do. These apps refuse to install, just spin. I've tried restarting both devices. It loaded a bunch of other apps so it's able to do it, and I can uninstall and reinstall apps that are on it. That’s so odd. I’m uninstalled and reinstalling with no issue. I wish I was more help to you. Is it possibly a large app and just taking a long time to get going? I'm assuming it uses bluetooth to install so might not be really fast? Well, I guess I'm going to try unpairing/re-pairing and/or resetting the watch when I get home and see if that fixes it. Hmm I found a solution, at least for Fandango, and probably will work for the others as well. I uninstalled it completely off my phone and reinstalled. It was instantly on the watch as well. Ok well this is fixed. I'm not sure what the hangup was. So my manual uninstall/reinstall of Fandango fixed that. Then when I walked out of work this evening the banking and health app and Wunderlist all reinstalled themselves on my phone and then the health and banking apps were on the watch. Wunderlist of course is not updated so it just totally disappeared.